Book unlimited workout sessions at top gyms and fitness centres with your FITPASS membership. Our partner gyms include Gold’s Gym, Chisel by Virat Kohli, Snap Fitness, Reebok CrossFit, Yasmin Karachiwala’s Body Image, SportsFit by Dhoni, RESET, Qi Lifecare, Fitness First and many more. Dance Classes, Yoga Classes, CrossFit, Pilates, Zumba, Aerobics, MMA, HIIT and many more options to choose from. It just takes a few clicks! All you need to do is go to the app, reserve a workout, and Get Set Sweat! You’re one step closer to your fitness goal - from bulking up, getting that lean body, toning or weight and fat loss. So what are you waiting for? Get the best fitness app FITPASS and join the 150,000 strong FITPASS community. Currently present in Delhi, Mumbai, Gurgaon, Bangalore, Hyderabad, Noida, Pune, Ahmedabad and Jaipur. How do you get started with FITPASS? 2. Pick your MEMBERSHIP plan. You can choose from a MONTHLY plan of Rs.999* or a THREE MONTHS option of Rs.2499*. 3. SEARCH for your favourite WORKOUT near you. Or you can search for a gym or fitness centre near you. Anywhere across our network of 3000+ fitness centres and gyms in India. Just scan the QR code and you’re all set! That’s not all! With the FITPASS app you can also access ADDITIONAL EXCLUSIVE FITNESS AND HEALTH SERVICES. ⋅ Our revolutionary A.I. technology creates PERSONALIZED fitness routines and workout plans for your fitness goals - be it bulking up, weight loss or fat reduction. ⋅ Get instant progress reports on the app and set daily workout alarms. ⋅ All on the FITPASS app. ⋅ We match you with an expert dietitian from our team who understands your fitness goals. ⋅ Through the FITPASS app you have a 24x7 CHAT feature with your dietitian. 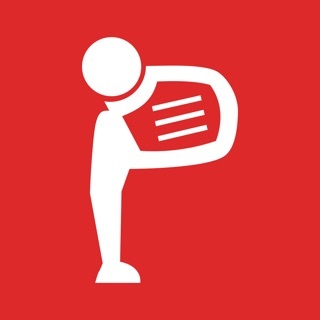 ⋅ Get RECOMMENDATIONS in real time to help you STICK to your diet even when eating out. FITPASS integrates with the Health App in order to collect and display data collected by your iPhone. It can display your step count, walking distance and active calories. Download the FITPASS app and Get. Set. Sweat. If you’d like to reach out to us - we're always excited to hear from you! Thank you for using FITPASS! To make our app better for you, we bring updates to the App Store regularly. This update of our FITPASS app includes bug fixes and improvement for better user experience. Certainly a platform whose time had come, people need to flexibly experiment with workouts like other services. However Fitpass has no mechanism to hold provider (gymnasiums) accountable, over half the places I’ve gone to after receiving a confirmation, have been shut or changed schedule. The app didn’t even give contact details of provider to call ahead and check. That said it’s more than value for money for variety it offers, time to complement choice with assurance and quality. My experience with FITPASS has been good so far. Haven’t visited many gyms via this app, whatever I did, I feel its value for money. Only thing they should ensure that the gym timings and working hours are properly synced otherwise it leads to confusion. Thanks a ton for the awesome response. We are so happy that you are having an amazing experience with FITPASS.